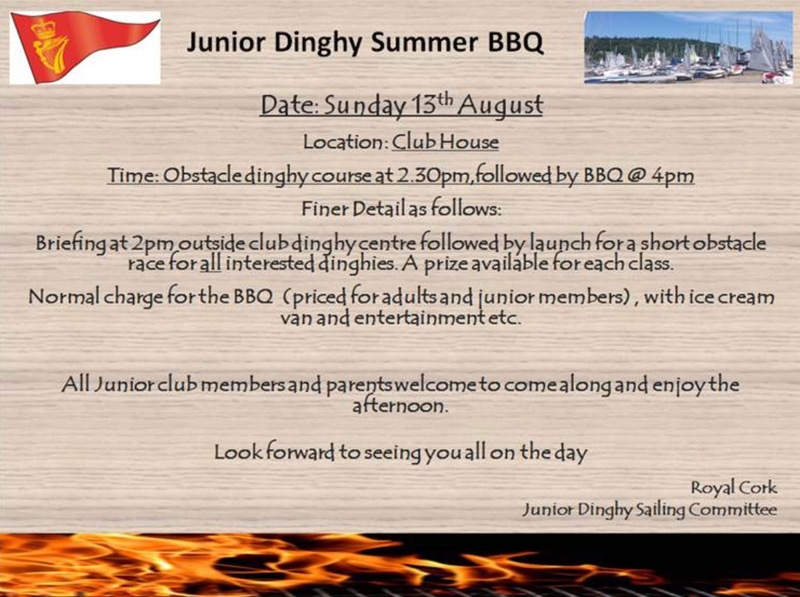 Briefing at 14.00hrs outside club dinghy centre followed by launch for a short obstacle race for All interested dinghies. Normal charge for the BBQ (priced for adults & junior members), with ice cream van & entertainment etc. 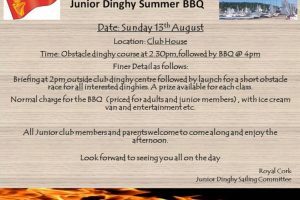 All Junior club members & parents welcome to come along & enjoy the afternoon. Please register your interest on Link Here so we can gauge numbers & look forward to seeing you all on the day.